Delayed three days by rain, the final elimination game of the MIAA A Conference Baseball Tournament was finally played on Sunday afternoon, at Harford Community College, and in a classic pitcher’s duel sixth-seeded Gilman School outlasted defending champion Loyola Blakefield, 2-1, to advance to Monday evening’s final round. 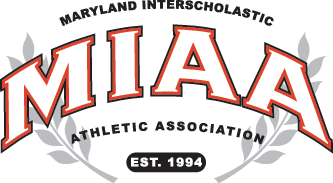 The Greyhounds (15-13) will face top-seeded Archbishop Curley, at Harford Community College, Monday night at 7:00 p.m. Gilman must defeat the Friars twice to win the double-elimination tournament. Gilman’s Joe Melancon broke the ice in what was a scoreless game when he led-off the top of the sixth-inning with a solo home run over the left field fence. Loyola’s Will Glock, who went the distance on the mound for the Dons, struck out Mike Willis, his pitching counterpart for the first out, but Tyler Martinez lined a triple into right field to setup the Greyhounds’ second run. Glock got the next hitter Gabe Gonzales to fly out to shallow right and Martinez had to stay put. With Jackson McCambridge at the plate, however, a passed ball allowed Martinez to race home and Gilman led 2-0. Loyola (16-11) rallied in the home half of the inning as Owen Reynolds got on with a one out single, moved to second on a wild pitch and advanced to third on a fielder’s choice ground out. With two down, Loyola’s AJ Holcomb came up with a clutch RBI single to plate Reynolds, but Willis escaped the inning without further damage. In the Gilman seventh, Glock pitched out of a one out, bases loaded jam to give his team one final shot. Willis came out for the seventh in search of a complete game and got the first out before walking Emmet Reynolds with one down. Gilman manager Larry Sheets then turned to senior Max Costes. With Glock batting, Costes unleashed a wild pitch that allowed courtesy runner Sean Kelly to advance to second and the potential tying run then moved 90-feet closer when Glock grounded to short. Costes hung tough and got another ground ball to short, off the bat of Jeff Snider, who was retired for the final out. Curley, the area’s No. 1 team with an area best 27-4 record, defeated Gilman, 4-3, last Wednesday in the winners’ bracket final. The Friars are now 3-0 against Gilman this season. Should Gilman win on Monday night, the two teams will meet again on Tuesday at a site and time to be determined. Pictured above: Gilman senior ace Mike Willis combined with his Loyola counterpart, Will Glock, to post a steady string of zeros, before the Greyhounds struck for two runs in the top of the sixth and held on for a 2-1 victory.